This is Lugia's Private Room. You can watch a movie or listen to music here. Lugia doesn't mind. This is Lugia's Stereo. Listen to some of his favorite music! 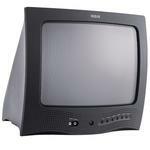 This is Lugia's TV. Watch some movies! Play Pikachu's Skatboard Dodge below! You Aré On A Mission To Dodge All Trash Cans That Are Blocking Your Path! Use The Mousé Buttons Or The Arrow Keys To Guide Your Playér. Thanks to Eevee_R who gave me the idea for a sound section and the URL for where i got the music.